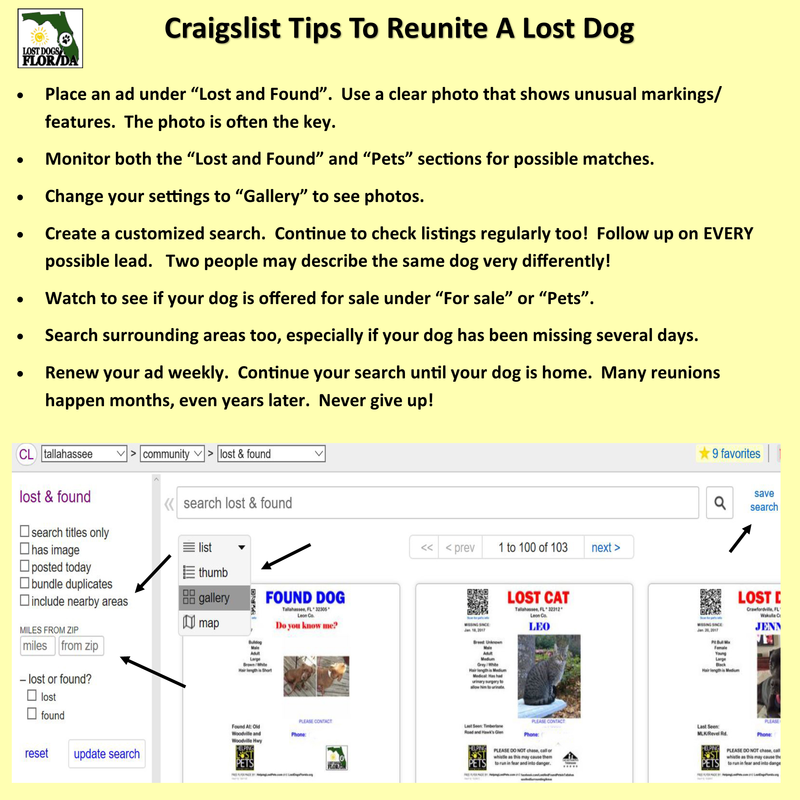 Many people who find a lost pet will place an ad on Craigslist under the "Lost and Found" section, so check there for THEIR ad - in addition to placing your own ad there too. Also monitor the “Pet Section” to see if your dog is being sold or rehomed by someone. Keep in mind that many people don't use Craigslist, so don't rely solely on this method. Recently the owner of a lost pit bull placed an ad on Craigslist. The person who found this dog checked Craigslist, but thought the dog he found was a Boxer, so he didn't answer the ad. The match almost wasn't made because many people aren't familiar with breeds, or one person’s medium dog is another’s large dog, etc. Thankfully, the brown dog and locations matched up, so he found his way home. Please be mindful of this when listing the pet, as well as searching other people's listings. A picture is worth a thousand words! Did you know you can set your settings to "Gallery" on Craigslist? This way you can view large photos without having to open up each ad to see the picture. To make sure you’re returning the dog to the rightful owner: When someone comes forward to claim the dog you found it's important to verify the dog belongs to them. Do they have a picture of the dog? Can they describe something about the dog that didn’t show on your flyer, such as collar color, an unusual feature, a scar, etc. Do they have vet records? Unfortunately, someone might try to claim a dog that isn’t theirs. You want to make sure you're giving them to the right person, so they get back safely to their family! Their fate is in your hands! 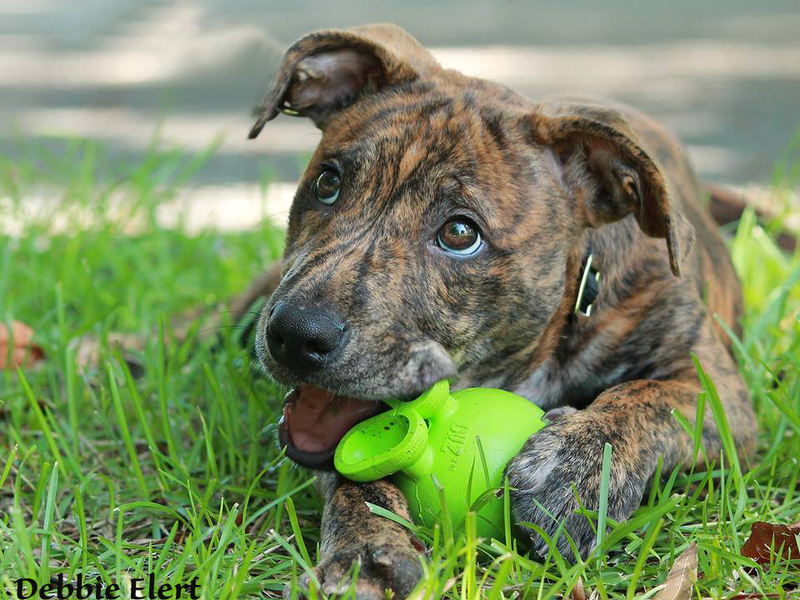 If you are unsure whether to give the dog to someone claiming to be the owner, or you have concerns about the safety of the dog, you can involve your local animal shelter or animal control. You can meet the owner at the shelter to make the exchange, or surrender the dog to the shelter, in which case shelter staff will decide if it's safe for the dog to return to the home.